Purchasing Power: India ranks among the top 10 economies in the world. It is on the map of the global audiovisual industry by virtue of its purchasing power and knowledge to adopt the latest brands and technology. Distribution Network & Partnerships: PALM has been instrumental in expansion of sales distribution and dealer network, which has grown exponentially over the last decade. International companies participating at PALM assuredly establish distribution partnerships at the show. PALM is the place to network with influential buyers and professionals: The show attracts the biggest rental companies and most influential systems integrators looking for solutions across stage sound & lighting AV, Audio –for-Video, cinema sound, studio recording and music production solutions. Over the three days, top honchos and tech gurus in the event business are present in strength at the show. Business Oriented Content & Exhibit Features: PALM hosts over 10 allied events. PALM has a strong philosophy and belief in the assets it creates. The PALM mantra ‘we deliver business’ is a constant focus in the development of features for content and exhibit. Live sound and light demos, interactive conference & seminars, informative workshops and innovative showcases attract delegates from across the country providing more opportunity for business as well as product and brand exposure. Brand Reinforcement: The range of exhibits encompasses 500 brands from over 200 companies. The best technology and products in sound and light, systems engineering and AV from USA, Europe, China and India are represented at the expo. Hence, exhibiting at PALM is critical in terms of market contact, product recognition and brand reinforcement. PALM is witness to India’s robust consumption of audiovisual install and stage rental business, attracting local distributors, as well as International brands entering India on the wave of aggression in pro audio distribution. 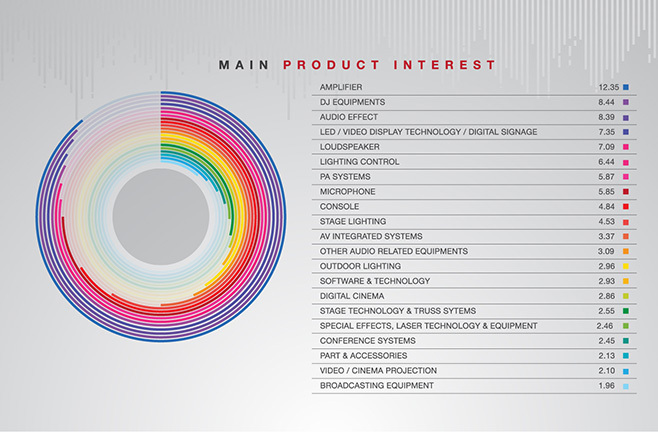 The pro sound, light and audiovisual market continues to mature across India. 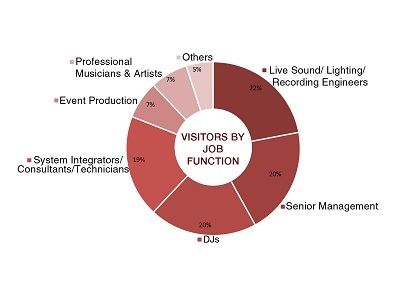 Even as the Indian event industry continues to grow, attracting top acts and artistes from across the world, diverse industries are creating new opportunities for sales and consumption. Growth is driven primarily by a surge in the event and hospitality industry, as well as corporate AV business. The pro sound, light and audiovisual segment has registered growth in the number of rental companies and systems integrators catering to the events and corporate segment. All major brands are entering India on the PALM platform as international brand power has been confirmed in the Indian market context, which affords high quality sound, light and AV equipment. Furthermore Indian distribution has enough scope & depth for supporting new brands, thereby fuelling the industry.